A funny, often poignant tale of boy meets girl with a twist: what if one of them couldn’t stop slipping in and out of time? Highly original and imaginative, this debut novel raises questions about life, love, and the effects of time on relationships. 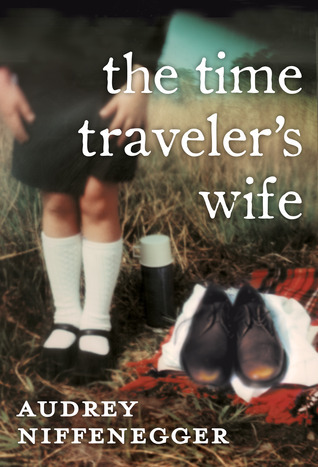 Audrey Niffenegger’s innovative debut, The Time Traveler’s Wife, is the story of Clare, a beautiful art student, and Henry, an adventuresome librarian, who have known each other since Clare was six and Henry was thirty-six, and were married when Clare was twenty-three and Henry thirty-one. Impossible but true, because Henry is one of the first people diagnosed with Chrono-Displacement Disorder: periodically his genetic clock resets and he finds himself misplaced in time, pulled to moments of emotional gravity in his life, past and future. His disappearances are spontaneous, his experiences unpredictable, alternately harrowing and amusing. The Time Traveler’s Wife depicts the effects of time travel on Henry and Clare’s marriage and their passionate love for each other as the story unfolds from both points of view. Clare and Henry attempt to live normal lives, pursuing familiar goals—steady jobs, good friends, children of their own. All of this is threatened by something they can neither prevent nor control, making their story intensely moving and entirely unforgettable.